The Best VPN for Android hides your IP address, encrypts your connection and can be used to protect all of your Android devices for one low price. This little guy knows which VPN is best for Android. Even a modest Android device is much more than a phone – it is a powerful, location-aware, and Internet connected computer in your pocket. Therefore, it should go without saying that if you are using a VPN to improve security and protect your privacy on your PCs and laptops, it is just as important (if not more so) to do so when using your smart phones, tablets and even Android-enabled TVs. We highly recommend Private Internet Access VPN (or “PIA” as it is known) as the best VPN for Android on the market today. Read all the details below. In a hurry? Here's the scoop why you should use Private Internet Access as your "go to" VPN for all of your Android devices. Nothing is perfect and PIA is no exception. Here are the drawbacks of using PIA as a VPN for Android. As with a desktop computer, using a VPN on an Android device routes all your Internet connections through the VPN. However, mobile apps often (if not most of the time) leak information about you in ways that using a VPN cannot prevent even when using the best VPN for Android. For example, apps often have permissions to access your contacts, network provider information, GPS data, photos, and more. Recent versions of Android have improved the situation slightly, but permissions requested by apps remain overly broad. Too many apps grab all possible permissions they can (just because they can), and many apps require you to agree to a range of potentially intrusive permissions before you can use them. Matters are made worse by “free” ad-supported apps which piggy-back the permissions you gave the host app, and which leak a wealth of privacy-invading information to advertising and web analytics companies (so much so that they are in turn spied on by the NSA). If you do use an app, ensure it is from a source you trust with your data. If you care about privacy (and want to achieve maximum benefit from using the best VPN for Android) you should access your favorite internet services via their regular web interfaces, using a mobile browser. Although Google Chrome is bundled with most Android devices, it should not be considered secure, as it is known to leak personal browsing data to Google. Instead, we recommend you use Mozilla’s Firefox for Android. Not only is it fully open source, but it is compatible with a range of add-ons designed to make browsing more private (such as uBlock Origin, HTTPS Everywhere, and Cookie AutoDelete). 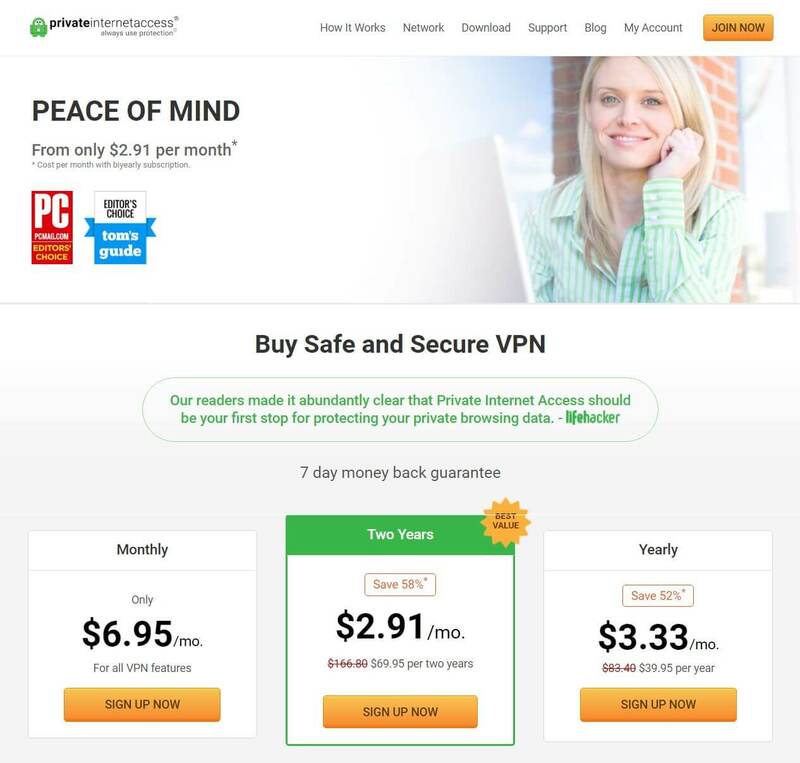 Private Internet Access (PIA) is already one of our favorite all-round VPN providers, thanks to it having an excellent regard for its users’ privacy, a great desktop app that features DNS leak protection, a VPN kill switch, and some of the best encryption available in the business. Above all else, users want a VPN for Android that connects fast and is hassle-free. You also want one that lets you choose from a number of countries or simply chooses automatically the fastest proxy server for you at any given time. PIA excels in what mobile VPN users are looking for and also happens to be the most affordable VPN too, costing as little as $3.49 a month if you follow our discounted link to enjoy a 65% off deal PIA has extended to our readers. PIA also has a 7-day money back guarantee so check it out entirely risk-free. The great news for Android users is that PIA’s Android app is almost as fully featured as its excellent desktop sibling. As with PIA’s desktop VPN client, its app features a kill switch and further provides the full range of advanced encryption options. Advanced users will also appreciate the option to request port forwarding. Check out our full Private Internet Access review for more details. Private Internet Access also allows users to connect a very generous 10 devices to its service at the same time, which is plenty for connecting your laptop, Android phone, tablet, and a couple of family members’ devices too! PIA takes personal privacy very seriously and does not keep any logs of its users' activities. PIA is recommended as a best VPN for Android by such authorities on privacy as PC Mag, Tom’s Hardware, TorrentFreak and Electronic Frontier Foundation. All of the reasons above make PIA the ideal choice for the privacy-conscious Android user whether to protect you from hackers or online tracking or to shield you from nosy ISPs or malicious snoops trying to detect or monitor your activities on Android devices. 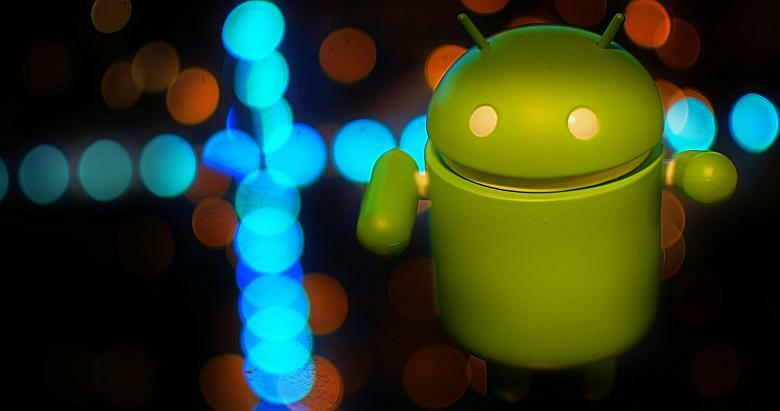 Almost all VPN services now support Android in some way, and many have dedicated Android apps. These almost always support the industry-standard OpenVPN protocol (a good thing), and are much easier to set up than generic open source solutions such as OpenVPN for Android. PIA’s app is no exception. OpenVPN for Android is a very capable app that can use regular OpenVPN .ovpn certificates, allowing connection to any VPN service that supports the OpenVPN (almost all of them including Private Internet Access). Although a little tricky to set up, OpenVPN for Android open source app is actually more fully-featured than many custom VPN apps for Android. However, the same cannot be said for Private Internet Accesses ‘app which brings a wealth of features usually only found in desktop clients to your Android device. This app is even capable of properly routing IPv6 DNS requests, which is something that few VPN apps (including desktop ones) are capable of. It can also act as a kill switch, preventing all internet connections that are not routed through VPN service. To configure this in the OpenVPN app go to Profile -> choose edit (pencil icon) for the specific VPN connection -> Advanced. Check Client behaviour -> Persistent Tun, and set Connection retries to Unlimited (for auto-reconnection to the VPN). Using a VPN on your mobile device is just as important as using it on your desktop computer. Also remember that most apps are not to be trusted, and that to obtain the full protection of using a VPN you should access Internet services via their web portals with your device’s web browser (ideally, Firefox). Given that PIA is anyway our top pick when it comes to VPN providers, choosing PIA for your Android devices is therefore something of a no-brainer! PIA's plans and prices for an Android VPN are unbeatable!